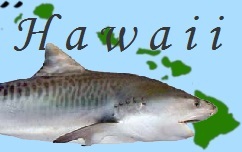 HANALEI – Ocean Safety officials have closed Hanalei Bay to swimming until further notice due to a shark bite that occurred at roughly 2 p.m. Thursday. A male visitor had been surfing and was paddling to shore near the Hanalei Pier, when he was bit by what he believes to be a shark. Although officials did not see the shark, lifeguards noted that the man suffered non-life threatening lacerations to both of his hands. The Minnesota man was treated by lifeguards on scene and opted to drive himself to seek medical treatment. As a safety precaution, lifeguards have posted ‘Shark Sighted’ and ‘No Swimming’ signs along the beach and are roving the shoreline to warn beachgoers to stay out of the water until further notice. Per standard protocol, the state Department of Land and Natural Resources was notified of the incident. Lifeguards will reassess the water Friday morning to determine if it is safe for swimming. Were they ever able to confirm if it was a shark bite?